The charges had nothing to do with his firing, county elections leaders said in response to the news, and there wasn't concern that any potential drug use had any impacts on voters. FAIRFAX, Va. — The former Fairfax County general registrar fired shortly before June’s closely-watched primary elections is now facing felony drug charges. Cameron Sasnett was accused of one count of possession of methamphetamine, one count of possession of GHB and a third count of distribution of methamphetamine, according to warrants signed the day he was arrested. The charges had nothing to do with his firing, county elections leaders said in response to the news, and there wasn’t concern that any potential drug use had any impacts on voters. At a court appearance Wednesday, about six weeks after Sasnett’s arrest, his lawyer and a prosecutor agreed to put off a preliminary hearing that could have shed more light on the charges until at least February. The way the case has been filed and has proceeded so far, with some details remaining under wraps, suggested there could eventually be some type of agreement with police and prosecutors to resolve or dismiss the charges in exchange for cooperation. 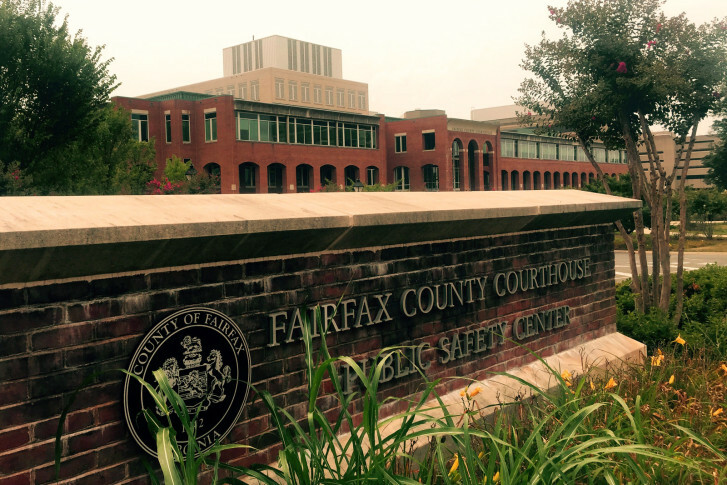 Sasnett is free on bail, and his lawyer Ed Nuttall suggested Wednesday there could be more to the story than initially revealed in Fairfax County General District Court records. When the case is eventually resolved, Sasnett feels the entire incident will simply reflect some “[expletive] buffoonery,” he said after Wednesday’s hearing. Police and prosecutors did not have additional information available to share about the case. According to court records, Sasnett was arrested July 27, less than two months after he was fired. As the official in charge of voter registration and elections in Virginia’s most populous jurisdiction, the Fairfax County general registrar is responsible for more than 700,000 voters’ registration information, polling places and ballots, a far larger number than any other registrar in the commonwealth. The Fairfax County Electoral Board did not publicly explain in June why Sasnett was fired days before the primary, citing concerns about publicly discussing personnel issues, but suggested at the time that they believed the problems were significant or they would not have acted so close to an election. Now, Electoral Board Chairman Steve Hunt told WTOP the three-member board had no inkling at the time that there could be any concerns about drug use or possession. There is no reason to believe there was any impact on any voter or any election, Hunt said, emphasizing that Sasnett was fired due to separate job performance concerns. “It was strictly personnel and management issues with the way in which he was managing the office,” Hunt said. According to a Virginia Public Access Project database, Sasnett also had registered as a lobbyist in Richmond this winter to push for changes to election laws. The Fairfax County Office of Elections has continued, under new leadership, to prepare for November’s midterms. Though Sasnett had vowed initially to challenge his firing, Hunt said the board was not aware of any formal legal challenge being filed. Sasnett had clashed with the electoral board and state officials on a number of issues, including when he refused to process certain voter registration updates provided by the Department of Motor Vehicles due to serious continuing problems with Virginia’s address update process. The state has said it plans to address those problems, which has led to some people wrongly being charged with voter fraud.